Linda Parker UK Independent Stampin' Up! 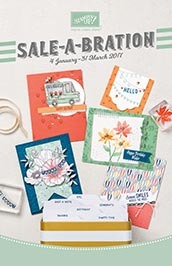 Demonstrator from Hampshire @ Papercraft With Crafty : Sale-A-Bration and the 2017 Spring/Summer Promotion starts Today ! So does my Raffle !!! Sale-A-Bration and the 2017 Spring/Summer Promotion starts Today ! So does my Raffle !!! Yes it's officially here - the launch of the 2017 Spring/Summer Catalogue and Sale-A-Bration Brochure starts today. There are some fantastic new products and some equally fantastic FREE products in the Sale-A-Bration brochure available to you for each £45 you spend between now and 31st March. 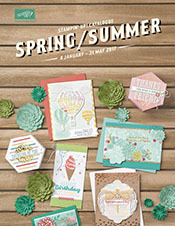 So visit my online shop to see what goodies Stampin' Up! has come up with this year ! Place an order of £45 (excluding delivery charge) and select from an array of fabulous free gifts. AND .............that is not all ! Personally, I am running my own Raffle for all of my customers. So for EVERY individual order placed between now and 31st March, I will be sending out a Raffle ticket. Place one order a month and receive one Raffle Ticket. Place two and receive two Raffle Tickets .... and so on !! At the end of Sale-A-Bration I will do a Lucky Draw and pull one Raffle Ticket from out of the pot. The winner will receive a SIMPLY SCORED BOARD together with a BONE FOLDER and PAPER PIERCING TOOL. Great basic tools for your papercrafting pastime. Nobody loses out though, because I intend to help my all my customers celebrate Sale-A-tion by rewarding them with a free complimentary pack of the beautiful new Lace Doilies worth £4.00 if they place an order during Sale-A-Bration. Call it my celebration of Sale-A-Bration. So many great reasons to shop during Sale-A-Bration and to shop direct with me. I really look forward to hearing what you think about Sale-A-Bration and my Raffle. Oh ....... and DON'T FORGET to use my Hostess Code shown in the top of the right hand column to participate in my Reward Club each month ! Yet more freebies ! !